This module is very informative… all in all it is a good module. I enjoyed the curriculum, not to long but packed with information. I’m looking forward to Module 3!! While Module 1 is the pure milk of dream interpretation, Module 2 is the meat. Module 2 challenged me to think out of the box and helped me correctly interpret dreams that I had misinterpreted or dreams that I had no idea what God was talking about. This is a very helpful aid to anyone who wants an organized way of learning to interpret dreams! 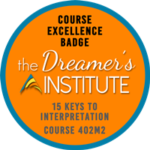 i really appreciate the step by step introduction, the dream elements and how to know if a dream is about you or someone else which is key in effective dream interpretation. This course goes much deeper into the dream categories and elements. It sets a foundation grounded in scripture, which I love. This is wonderful. A great step and addition to the first module. I really liked the part where Rev. Lyn broke the elements into 21 Categories. This is something that will be really helpful especially if you meet someone from a different culture or environment. It is a wonderful course. God bless you Rev Lyn. I gained so much understanding working through Module 2. The teaching about all the different categories of dream elements was so thorough, and the explanation of the difference between intrinsic and extrinsic dreams was so clear. By sitting under Rev. Lyn, I feel that I am absorbing not just information, but also the “spirit” of interpreting dreams. I appreciate the class being broken down into these manageable chunks and am looking forward to advancing to the next module. Really got great practice with identifying dream elements and beginning to interpret short dreams! This course provided a lot of insight towards interpreting dreams. This course is so solid and full of practical, important guidelines! The teaching on the differences between intrinsic and extrinsic dreams is so important. 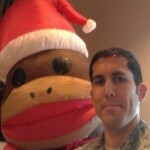 Great course with in-depth information. Was a bit more challenging for me than the previous module so I had to pay a bit extra attention, but well worth it.